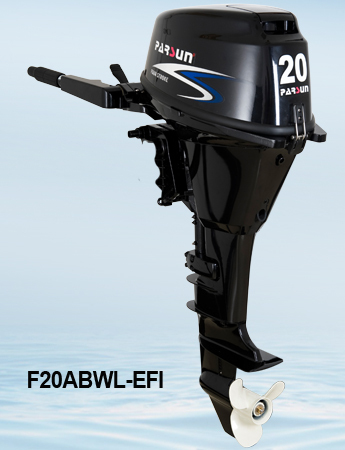 PARSUN 20HP 4-stroke outboard motor feature greater flexibility and durability. They are designed with the labyrinth Exhaust System, Blow-By Gas Re-burning System, Water-cooled Fuel Pump, Flushing device and 10A High Output Alternator. On the water, you'll be delighted by the low fuel consumption, simple control, limited noise and vibration, and complete reliability. 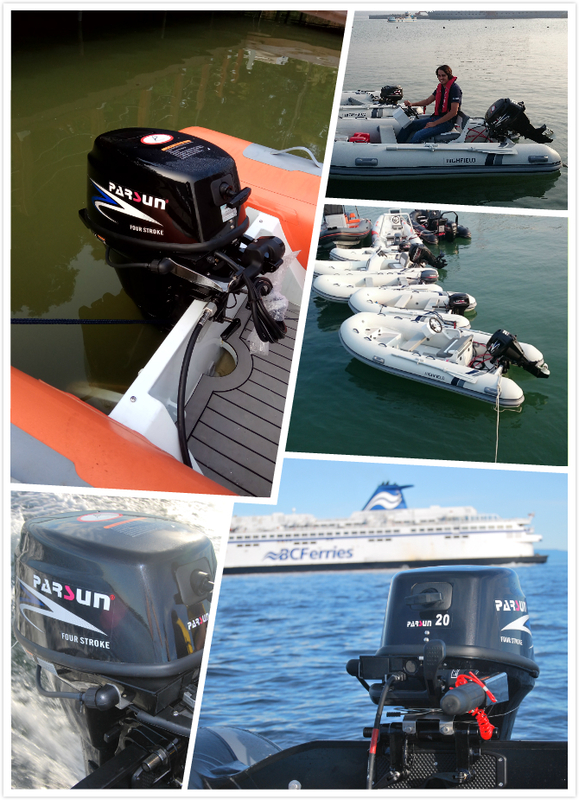 PARSUN portable four-stroke outboards are not just their light weight and compactness, but the fact that they have the same renowned PARSUN quality technology and reliability. Whether fishing a favorite point or taking a leisurely weekend cruise these outboard engines are a delight to use. This 20HP outboard is equipped with electronic fuel injection, which provides excellent fuel economy, easy start, slower trolling speed, quick throttle response, lower emission and very smooth rides on the water. Weighing just 114 pounds, it is easy to install and gives less weight for your boat to haul around. 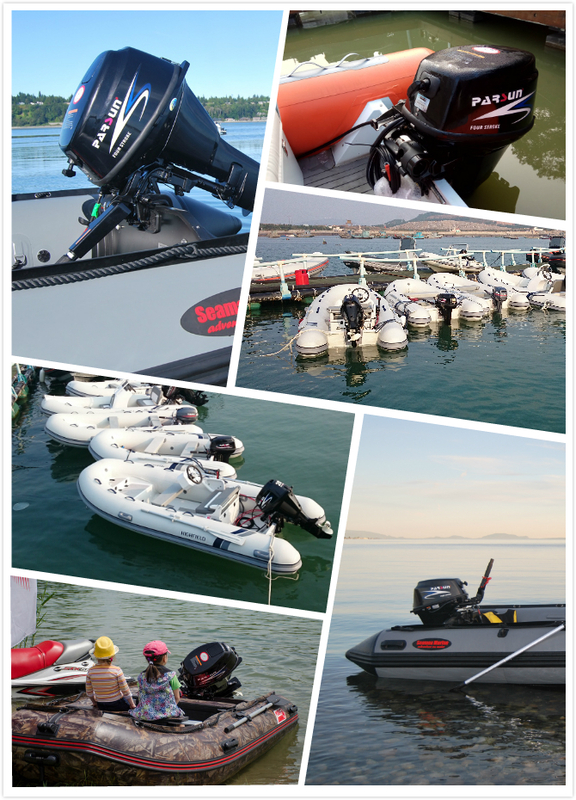 It is perfect for aluminum fishing boats, bay boats, inflatable boats, pontoon boats and fishing boats. They are designed to satisfy the demand of leisure boaters with all kinds of boats. PARSUN enjoy the best price versus performance ratio and providing valued service. 1.With reliable E.F.I. 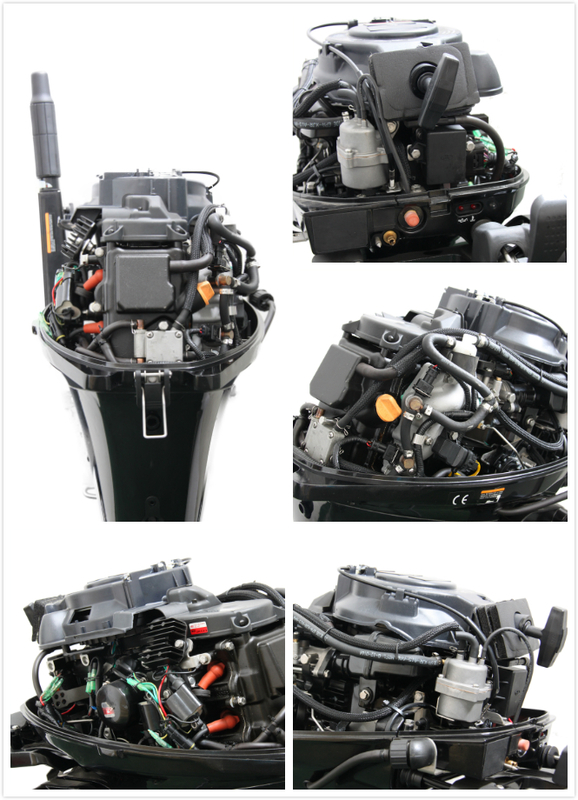 system, 20HP outboard is of high quality, long life and easily maintenance, whilst cutting your fuel and maintenance costs. 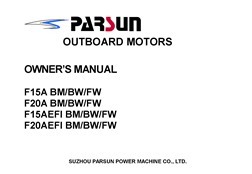 PARSUN 20hp EFI outboard motor advantages are Intelligence, reduced fuel consumption&emissions, less servicing,altitude adaptability, excellent starting, more power and enhanced reliability. 3-11.12 x11" or 3-11.38 x 12"
*12V DC is an option.